Discover the joy of unlimited sightseeing with the city pass which gives you free entry to the best attractions Paris has to offer. 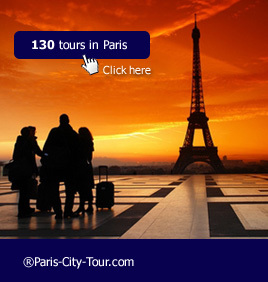 Use it as your own personal Paris tourist guide and create your own itinerary to explore this magical city. Save time as you skip the long queues, and save money with free entry to over 60 Paris sights and attractions. With The Paris Card, there is no need to use cash, simply show your pass for fast entry. With The Paris Pass you get: A free map of Paris, Free entry to over 60 sights and attractions, Additional special offers and benefits at selected restaurants and shops, Free use of public transport within Paris Zones 1 - 3 (Metro and buses) for the validity of your pass, Skip the queues with fast-track entry at many of the major sights, including the Louvre, Pantheon, Arc de Triomphe, Musee d'Orsay, Centre Pompidou and many more! The Paris Pass is available for collection at the Hard Rock Cafe located at 14 Boulevard Montmartre, Paris 75009. Opening hours are: Sunday to Thursday: 8:30am - 1:00am - Friday and Saturday: 8:30am - 2:00am - Duration : The Paris Pass is valid for the selected number of consecutive days from the time of first use. Paris-city-tour.com is a online reservation website dedicated to sightseeing and tours - We also offer an airport transfer service from either Roissy, Orly or Beauvais airport. Either looking for entrance tickets for a cabaret like Moulin Rouge, Lido or Crazy Horse, a romantic place to dine, a visit to Monet House in Giverny, a Versailles castle full day guided visit or a private transfer to Disneyland ... you will find it on our website. A few places of interest in Paris : Printemps Haussmann, Galeries Lafayette Grands Magasins, Opera garnier, Place Vendôme, Café de la Paix, Palais Royal, Louvre Museum, Pont-Neuf, Conciergerie, Square du Vert Galant, Notre-Dame Cathedral, Flower market, Saint Louis Island, Holly Chapel, Saint Michel fountain, Orsay Museum, Concorde, Champs Elysees Avenue, Montaigne Avenue, Arch of Triumph, Trocadéro, Guimet Museum, Modern art museum, Eiffel Tower, Invalides, Rodin Museum. 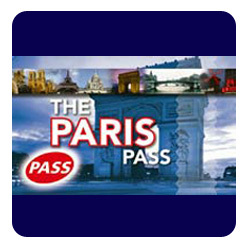 The present page is featuring information about Paris city Pass.